Rather than 15 minutes straight AMRAP this one is broken up with just a little run and some double unders. Even though it’s not the same movement pattern, the double unders can still make the pullups and pushups challenging, so Rx’d, ADV. and BEEF folks should break up the pushups or ring dips well before they become an issue. Bison folks may want to take an extra few seconds before jumping up to the rings, rather than breaking up their ring dips. Since we’ve been doing plank holds quite a bit in our alternating EMOMs before workouts, I wanted to incorporate them into a low skill, high intensity workout. It’s important to not only develop core stability, but also be able to maintain it when we are fatigued. Being able to maintain a stable core is Also keep in mind 1 minute can be a long time to do deadlifts, especially on your first set… don’t start with one huge set, break it up early and often. 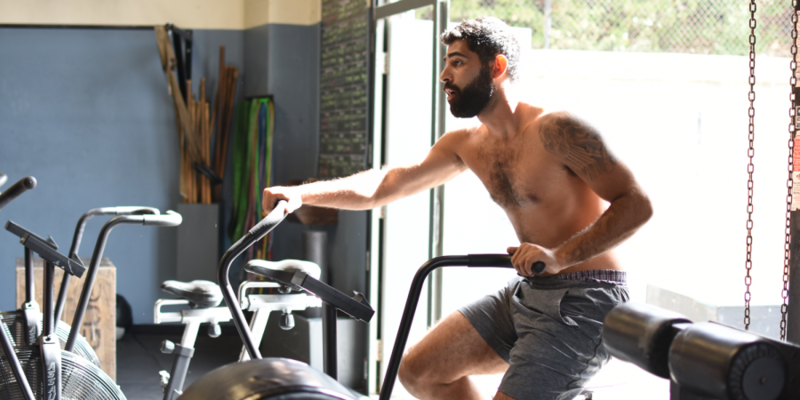 Note that the sled pushes are only 35 meters so you can go a little heavier, but it should still take 45 seconds or less as you’ll need at least 15 seconds to run back to the gym before starting your planks. For the Row, Bike or Ski you’ll have more than 5 minutes of rest before starting part B, so the intent is to go hard here. However, going hard for 7-9 minute effort doesn’t mean sprinting at the beginning. If you’ve been at the Sweat Shop for at least 6 months you’ve likely done at least one of these, use that data to set an appropriate pace! For example, if your most recent 2K Row time was 8:20, that’s an overall avg of 2:05/500m (this is the big number you see on the monitor that adjusts with each pull you take). Start out, and try to maintain a 2:04 pace. Hopefully it feels extra easy in the beginning, if so, you can perhaps try and maintain a 2:03, but don’t get greedy!… wait until you are at least 300 meters in then go to a 2:03 pace, remember what feels good in the first 30 seconds is not a good indicator as to what it will feel like for the entire 7-9 minutes! If you pace it right you should have a little left in the tank to sprint the last 100-150 meters. Lastly, keep in mind some people will be doing the two parts in reverse order so they’ll be rowing AFTER part B, if this is you, don’t expect to PR your 2K row…. but if you are looking to retest your 2K Row time, or make a run for someone on the leader board, be sure and let the coach know so that we can make certain you row BEFORE part B. Part B is meant to be relatively short and something you can stay continuously moving on. This is also an opportunity for those that have been developing or refining their rope climb technique in our skill sessions to practice it during a workout. Remember, when learning, it’s still beneficial to do a rope climb even if you are only going half way up. Beef folks take note, these are true legless, not “regional rope climbs”. I really like this format b/c it gives people many opportunities on the rower (or bike or ski erg), rather than just one long distance at the beginning or end of a workout. If you haven’t done this format before make sure during the warmup you do a set on the machine you want to use and make sure the calorie count that you shooting for is a number you can pretty easily get to in 30-40 seconds in the warmup. This is important so that during the workout you are not working at max effort to hit the calorie count, the other minute, when you are doing the dumbbell hang clean to overheads, or the burpees should be max effort minutes. B.) Alt. EMOM 10 min. C.) Alt. EMOM 10 min. Saturday’s are the perfect days for partner workouts! With some light running throughout the week, and more running on Sunday, hop on a machine for this one! 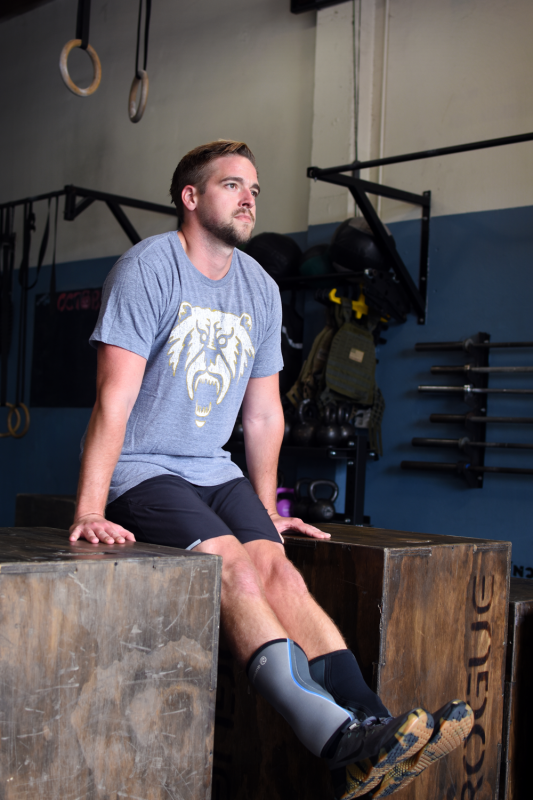 You’ll have the added benefit of watching your partner suffer/cheering your partner on, while they do work on the power cleans and box jump overs. 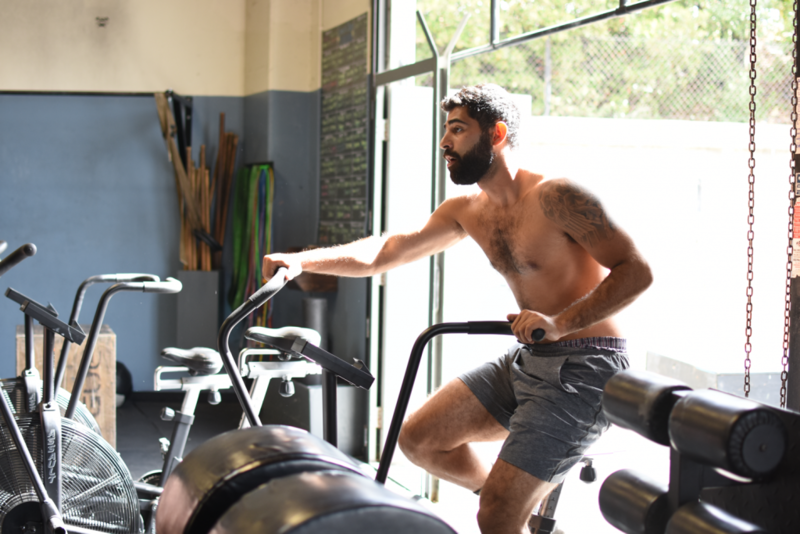 One person performs cardio (400m Row or Ski, or 1K Bike) while partner does AMRAP, when cardio partner is done they pick up AMRAP where other partner left off. If Saturdays are for partner workouts, Sundays are for wall climbs…. and Dumbbell Thrusters.. especially when I’m coaching. I throwing in the exercises we don’t always get to do… and while there are few things, if anything, that I hate more than the dumbbell thruster, pairing it with super fun wall climb is like getting your favorite dessert after forcing down your veggies!